Marcos Rojo, Phil Jones and Ander Herrera ruled out. Diogo Dalot doubtful. Pedro Teixeira, Jordan Lotomba, Gregory Wüthrich and Sandro Lauper doubtful. 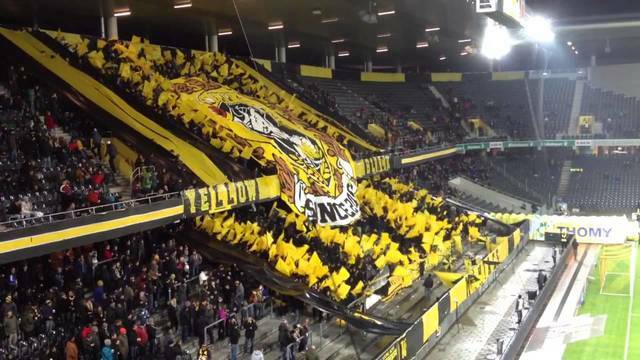 Berner Sport Club Young Boys, commonly known as Young Boys of Bern or Young Boys, nicknamed Die Gelb-Schwarzen (Yellow and Blacks) and abbreviated to YB (pronounced ebay, like the website), is a Swiss sports club based in the capital city Bern. One of the most successful club in the nations, Young Boys have won 12 Swiss league championships and six Swiss Cups, and in 1957, they were named the Swiss team of the year. Young Boys is also one of the most successful Swiss football clubs internationally, and reached the semi-finals of the European Cup in the 1958–59 season. The club was founded on 14 March 1898 after a game of football with the Basel Old Boys Association playing against FC Bern as Fussballclub Young Boys by brothers Max and Oscar Schwab, Hermann Bauer and Franz Kehrli — who were studying at the University of Bern. The slightly older FC Bern submitted an offer to the YB leadership to provide grounds, changing rooms, and equipment if these students would play as a team affiliated with FCB with Young Boys still retaining their own leadership and statutes. 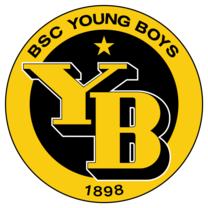 In 1925, the association's name was changed from FC Young Boys to Berner Sport Club Young Boys. This year was also the last game on the old Spitalacker-platz as in October, the new Wankdorf Stadium by the architects Scherler & Berger was opened with a tournament. It was attended by the Old Boys from Basel, Servette Geneva, and the Young Boys. YB enjoyed its most successful period between 1957 and 1960 under German coach Albert Sing, when it won the title four times in a row and reached the semi-final of the European Champion Clubs’ Cup (now the Champions League). And in recent years, the Young Boys have been attracting attention in the European Cup: the club reached the group stage of the Europa League in 2010, 2012, 2014, and 2017. And in 2018, after a break of 32 years, Young Boys became Swiss Champion for the 12th time. 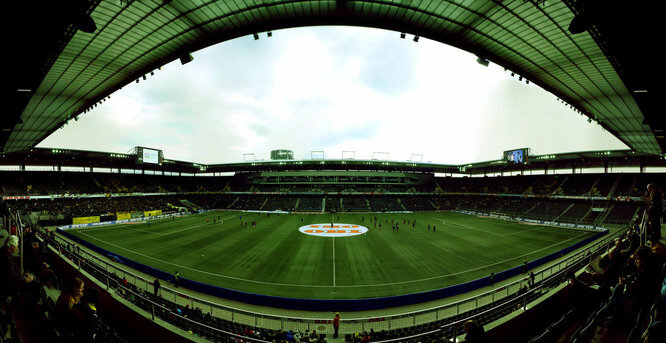 The team plays their home games at the Stade de Suisse Wankdorf. Excited. Hope we can start this with a win or else we're in big trouble. My girlfriend just asked where they are from. Need to win this and Valencia game to have good chances to pass before meeting Juve. Same lineup as today bar Shaw, but I'll throw Rashford around instead of Lingard as he won't be available in the league. Can see us getting battered there tbh. What happened to the 7.45 kick offs? No paedo jokes, before anyone thinks about it. Shouldn't have to say it, but know what some of you are like. Catt Ole's at the wheel! Is there a good history behind the name of the club? Somehow I get the feeling it wasn't well thought out. Young Boys were founded in 1897 after four university students put on a game of football against Basel Old Boys Association. Rather than Old Boys, they opted to christen themselves Young Boys. Just to compound the silliness, they duly started playing their games at the Wankdorf Stadium. We'll give them a good dicking. A wife and a cat. Don't tell me, Jimmy Savile was their biggest fan. If there was ever a match day thread that needed a 'know the opposition' in the op it is this one. Theirs is quite tame tbh. There are some weird and wonderful club names out there. Second, where are all the pictures of Young Boys? Mourinho says Luke Shaw is to start. they decided that 8 makes it just that bit less convenient for everyone. Ha! I never saw that post. We are going into a battle vs young boys at Wankdorf stadium. They will have as many holes in their defence as the Swiss cheese. How long does it take to be in Wankdorf? Completely did not realize the champions league was on this coming week. Something to watch. Takes me anything between 2-10 minutes. What the hell? Why are Inter playing Spurs at 5:55pm on Tuesday? Is that a new thing? Should be Men against Boys. Yeah, said exactly the same thing to my mate. The feck it that about? Hope it's not a regular fixture. Seems to be a change put in place by Uefa to mirror what Europa League does. Reason for the change? My guess is money - perhaps they get more income from broadcasters being able to maybe televise 2 games instead of one 8pm kickoff. If that is the reason, the timings seem tight. Typically a game broadcast will last about 2 hours (90 minutes, 15 minute HT, extra time either side of the halves, lengthy stoppages), will leave no time for analysis afterwards. What country is this team from? That was my thinking tbh. I don't like it. There's an over saturation of football now. I just hate the fact that they're trying to squeeze another game in. It was fine before. 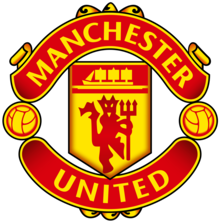 I want to see Dalot (if he's ready), Fred, Hererra (in midfield), Martial, Bailly, Shaw (to get him back early), Pereira and Rashford. We should be winning this game regardless so I think it's a great opportunity to give some guys a chance to shine. Perfect team IMO for a game like this. Need to get Rashford, Martial and Fred firing. Dalot needs games and Shaw needs to get right back to it. Pereira should be the obvious replacement for Matic's suspension and to be honest he never really lost his place despite playing in the wrong position (he's clearly more Iniesta than Xavi and his dribbling ability is wasted while playing deep and being instructed to play it safe). Pogba played the whole World Cuo and I assume he needs a rest and Herrera deserves the chance to show that he is still a quality midfielder (we have stifled his game starting with LVG). Possibly Mata in for Lingard but I like the look of the pace of the front 3 I think should play. Rest Fellaini and Lingard as there is literally no point in risking them since Rashford and matic are out next game. Umm, you know Matic is suspended in league and this is CL right ? If anything Matic needs to play this as he won't play on the weekend. You're disrespecting Young Boys so much tbh with this selection. That's not League cup game. Totals may not equal 100% due to rounding. You successfully predicted 0 players in the starting XI and substitutes, earning you 0 points in the Lineup Prediction League. You received 0 bonus points as you predicted all substitutions when less than 3 subs were used. Bonus points may still be applied after the match if you correctly guess all substitutes.